Here's Egyptian superheroine Pakhet again, but painted. I tried to add some yellow pinstriping to her outfit and failed miserably; perhaps I needed a narrower brush at this scale? 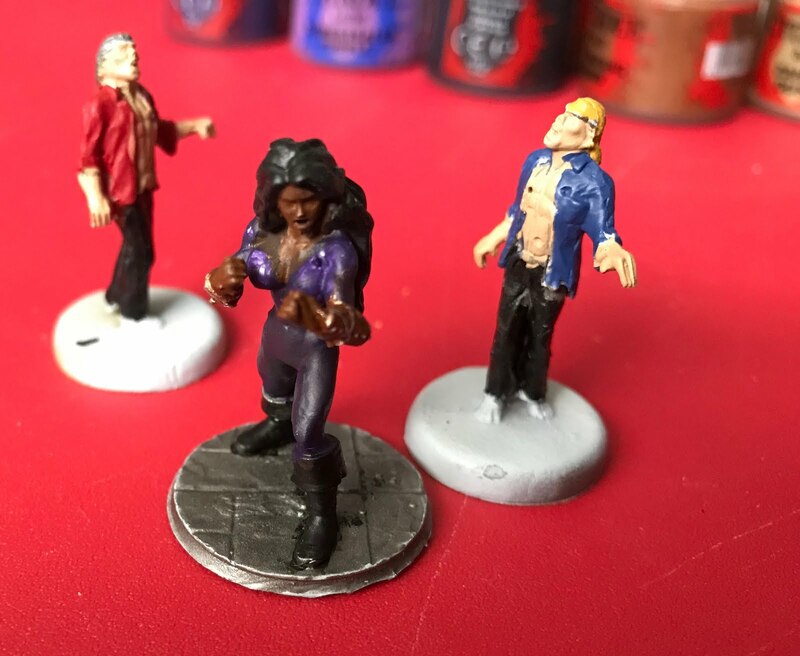 This is the second miniature I've designed and painted for our Villains & Vigilantes group. I don't think it turned out quite as nicely as the first, Mirror Maniac. There are a couple of unfinished zombies in the background, part of my Last Night of Earth board game.